Posted December 26, 2017 by Bob and Jane Kinzie & filed under Generator Tips for Businesses. Backup generators are responsible for saving lives and businesses when the power goes out. When you take a closer look at all of the ways you use electricity on a daily basis, it’s easy to see that you don’t want to be without power if you can help it. For some businesses, it’s even more important than others to have a backup generator. Not having one could prove very costly. Is your business protected? Let’s take a look at a few businesses that should have a backup generator on hand for emergencies. When it comes to places that need backup generators, places that deal with food and health code regulations such as restaurants usually come to mind. 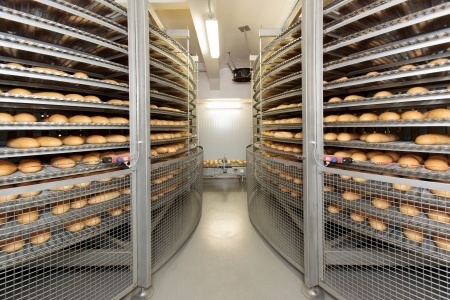 Unfortunately, most people don’t think about a small bakery needing that same backup. 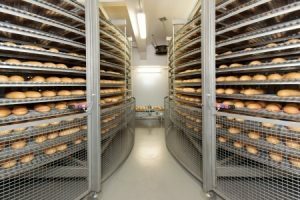 A bakery has the same health codes that a restaurant has, and while a lot of the inventory may be shelf-stable, there are a lot of delicate ingredients such as butter, eggs, fruit, and cream that could quickly be destroyed. As a landlord, you can really improve your tenant’s experience, reduce your turnover rate, and create a competitive edge by having backup generators on your properties. Not having to worry about losing power goes a long way with tenants, which means you can set the rent a little higher and you probably won’t have to worry about having empty properties for very long. When it comes to construction, you may use a backup generator for backup if you lose electricity, but more than likely, that generator will be the only source of power you have on new construction sites. Having one you can rely on is essential to finishing the job on time. You may not think about your office building as needing a backup generator because no lives or inventory are at risk if the power goes out, right? While this is true, it interrupts the workflow and could potentially mean missing deadlines and losing important accounts. If you run a business that can’t afford to lose power, you need a backup generator you can trust. Call Kinzie Backup Generator Systems at 301-469-7800 today to discuss an installation.